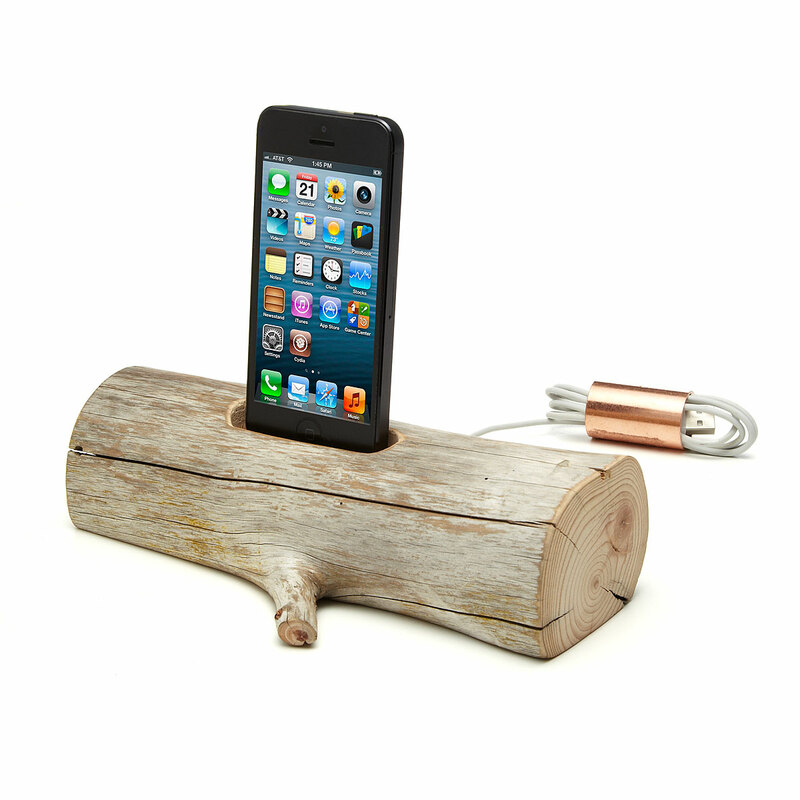 Charge your iPhone (or iPod) with the Driftwood iPhone Charging Dock. This cool charging station melds together the latest technology with the serenity and beauty of nature. Handcrafted natural driftwood from Maine is transformed into a unique electronic accessory by Lee Goodwin and his team of artisans. Choose a dock for either the iPhone 5 or iPhone 4.